Whether you are flying drones or unmanned aircraft systems (UAS) for fun or for work, learning about the complex airspace surrounding Seattle and the Puget Sound is always a good idea and we are here to help. You can learn more about the rules and regulations, such as requirements to register your drone on the FAA website. 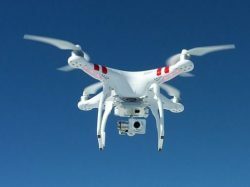 If you are planning to fly drones for business, then the FAA requires you to hold a Remote Pilot Airman Certificate. At Chinook Flight we are a FAA approved Testing Center and can provide the testing required to obtain your FAA Remote Pilot Certificate to fly as allowed under the FAA Regulation (14 CFR) Part 107. Contact us today to schedule your test to become a certified remote pilot.